Dr. Reckeweg Arnica Mont Mother Tincture is extremely useful in the treatment of post injury bruises that causes pain in the joints and muscular cramps. It is also an effective remedy for the treatment of mouth ulcers and bleeding gums. It also helps in reducing soreness and stops bleeding. Natural herbs help in reducing pain associated with bruises and falls. Buzzing sensation and pain in the cartilages of ears can also be relieved by its use. Take 10-15 drops of the tincture in half cup of water thrice a day or as directed by the physician. 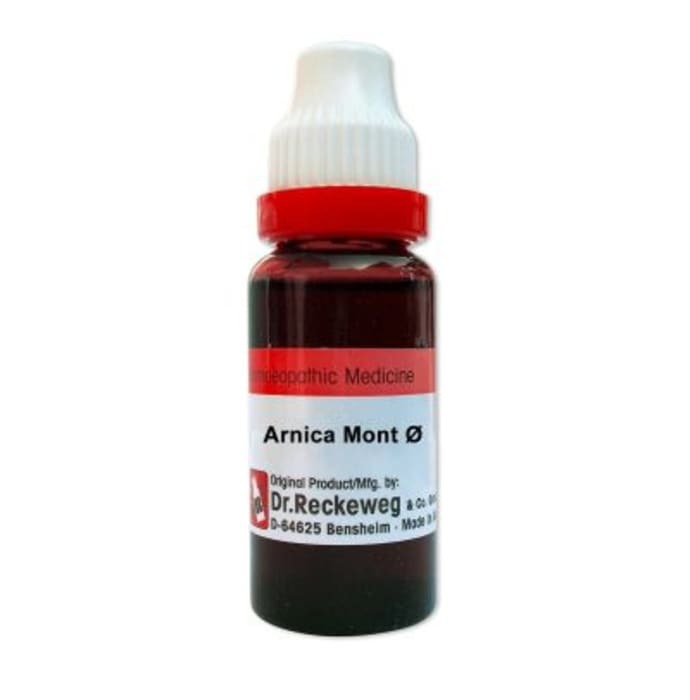 A licensed pharmacy from your nearest location will deliver Dr. Reckeweg Arnica Mont Mother Tincture Q. Once the pharmacy accepts your order, the details of the pharmacy will be shared with you. Acceptance of your order is based on the validity of your prescription and the availability of this medicine.